A Striking Example of Symbiosis The upper third or one-half of this spike consists of a spectacular display of hundreds of white to purplish flowers, several feet long. 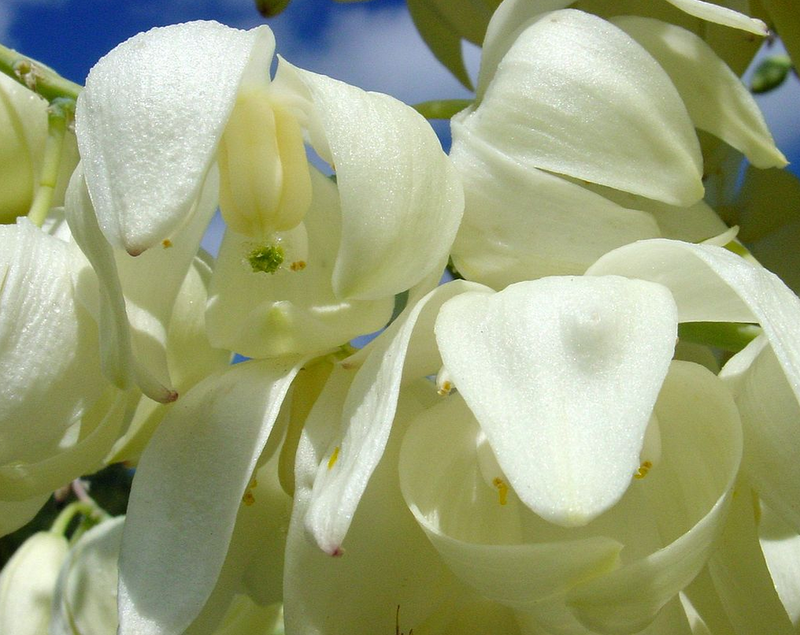 The blossoms are pollinated at night by the California yucca moth (Tegeticula maculata). The female moth collects sticky pollen grains from the blossoms of one plant and forms them into a massive ball on the underside of her head. She then flies to a blossom of another plant and inserts a single egg into the ovary of the blossom. She rubs the mass of pollen against the ovary, thus fertilizing the ovary. The ovary will now produce many seeds which develop into fruits. When the moth larva emerges from its egg, it feeds on the fruits, most of which remain uneaten and are capable of producing new plants. Thus both the plant and the moth benefit from this relationship, which is called symbiosis. When the larva matures, it burrows out of the fruit, metamorphoses into an adult moth, and the cycle continues. Over evolutionary time, yucca moths and yuccas have evolved complete mutual dependence on each other (“obligate mutualism”). Two Ways to Reproduce Itself After the flowers have been pollinated (sexual reproduction), the Hesperoyucca whipplei plant slowly dies, altho the flower stalk may remain in place for several more years (unless some ignorant burnouts come along). 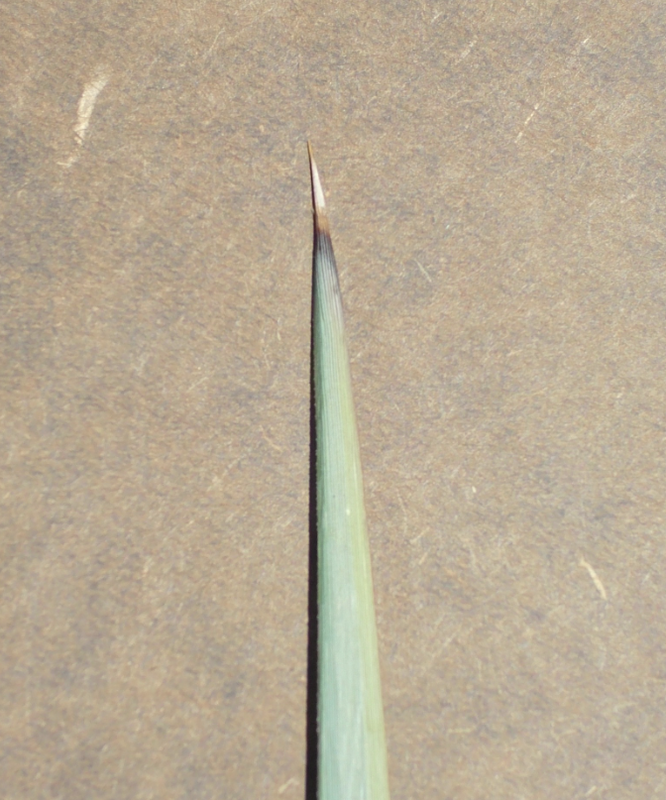 However, rosettes of new plants grow out at the base of the old plant (asexual reproduction). 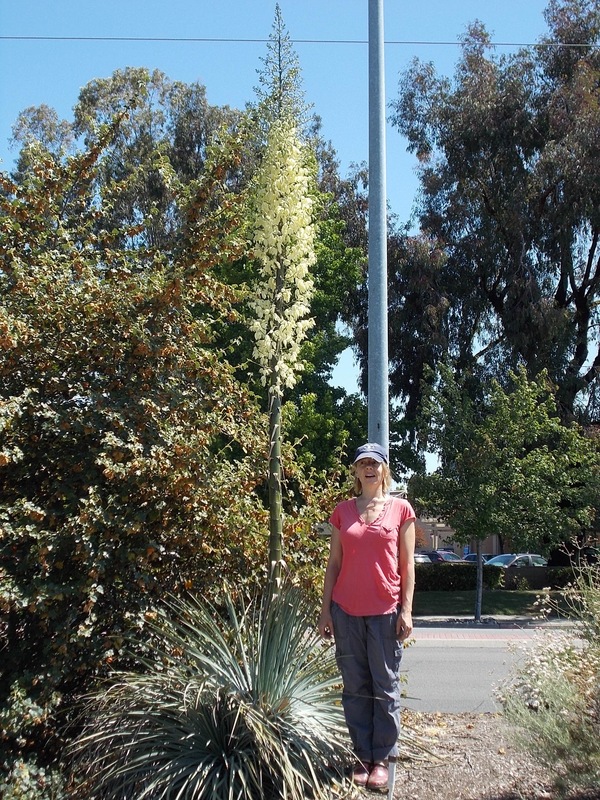 Hespero- yucca whipplei is native to the south- ern part of California and Baja Cali- fornia. If it is planted in a part of the state where yucca moths are not native, the plant might have to rely on new rosettes for reproduction. Over time the rosettes accumulate to form an impenetrable barrier to foot traffic (but also present a serious hazard to the unsuspecting, especially children, because of their sharp leaf tips). Pop Quiz! Without looking back, can you explain what is meant by the relationship called “symbiosis”? Also, can you explain why this example of symbiosis is also called “obligate mutualism”? Also, make sure you understand the difference between sexual and asexual repro-duction so that you can explain it to someone else (especially to a young person!). If you aren’t sure, study that paragraph again carefully.